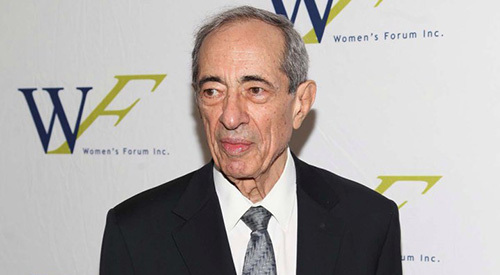 Former New York Gov. ­Mario Cuomo saluted his former speech­writer Peter Quinn and his newest novel “Dry Bones,” the third offering in his Detective Fintan Dunne history-mystery trilogy. Cuomo spoke at the party, held in the sweeping penthouse of Irish Consul General Noel Kil­kenny and wife Hanora, which attracted an Irish literary crowd, including writers Malachy McCourt, Alphie ­McCourt, Dan Barry, Terry Golway, Orla O’Sullivan and Quinn’s twin brother, Tom, a senior editor at Waterkeeper magazine. Cuomo, dad of current Gov. Andrew, went on to credit Peter for crafting some of his most memorable speeches.